Suzi McDonald joined Krannert Center’s staff in 1981, serving as the very first Audience Education Director and passionately pioneering opportunities for the Center to extend its community impact through programs like Krannert Caravan, Within Reach, Residence Hall Outreach, and the Krannert Center Community Volunteer Program. In 1982, she founded the Krannert Center Youth Series—a collection of daytime programs and accompanying educational materials that celebrate the breadth and quality of global performing arts experiences in child-friendly forms that complement classroom learning and State of Illinois academic standards. Over 350,000 young people have taken part in these joy-filled, life-affirming experiences in the past 35 years. And along the way, many in our community, including our current sponsors, have played a role in securing these programs and their accessibility. Funding comes in all sizes—from family foundations, passionate individuals, class ticket sponsors, and poignantly, from the Susan Sergeant McDonald Endowment Fund for Youth Programming, which was founded in Suzi’s memory. You can help too. 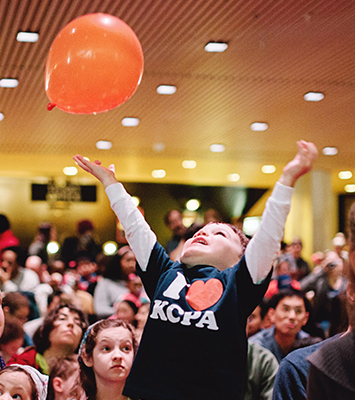 Consider a gift of any amount today and ensure the arts for future generations. Learn more about the Krannert Center Youth Series and support arts education experiences today.